The Harmon Foundation has granted me permission to write a book with the above title. Any information that you have about any Harmon Field in America would be appreciated. I am looking for any written information you may have about a Harmon Field – News articles, written information about the history of the Harmon Field, stories, land deeds, etc. ; pictures of Harmon Fields and/or events there. Year that your community received money from Harmon Foundation to purchase the property for your Harmon Field/Park. How much land was acquired with that money. Any newspaper articles that told about your community receiving funding from the Harmon Foundation. Any other years that your Harmon Field/Park received future grants from Harmon Foundation and what those grants were used for. How many acres your Harmon Field/Park now has. Directions to your Harmon Field/Park from the closest main highway that would tell visitors how to get to your Field/Park. Who oversees your Harmon Field/Park. Amenities at your Harmon Field/Park. Annual special events that take place at your Harmon Field/Park. History of your Harmon Field/Park. Any other information about your Harmon Field/Park that would be of interest to others throughout the United States. I would also like pictures – both old and new – of your Harmon Field/Park. I need one picture of the entry sign for your Field/Park to be included on the first page of your chapter. Thank you for taking the time to provide me with this information. 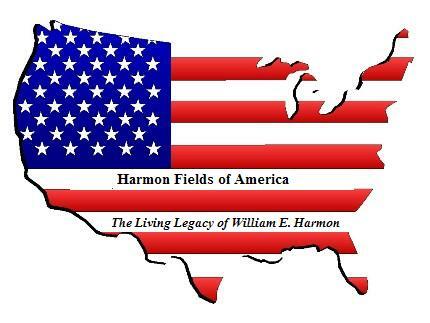 If you know of any other Harmon Fields throughout America that are not on my website list, please share that information with me. We hope to have this book in the hands of the publishers by August 2010. Do you know about a Harmon Field some place?